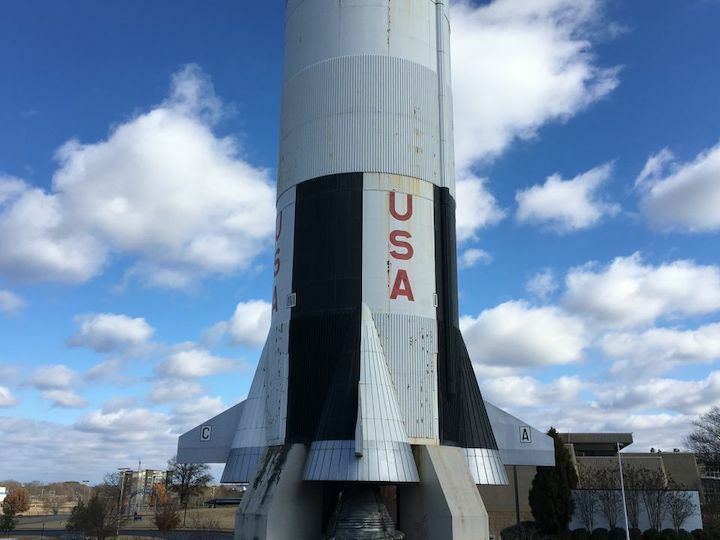 The Saturn V stands as a resplendent monument for Huntsville, a dominating gateway into the Rocket City and an emphatic statement to the city’s storied history in space travel. It also needs a paint job. And that’s a project that takes some planning, lots of money and some ingenuity. The U.S. Space & Rocket Center, which is home to the only standing model of the rocket that took men to the moon, announced plans Wednesday to embark on a restoration of the towering spacecraft leading up to next year’s celebration of the 50th anniversary of that first moonwalk. As traffic whizzes by on Interstate 565, the rocket cuts an imposing figure. Up close, however, chipped paint and rust is evident from the top of the 363-foot structure to the bottom. It’s a $1.3 million project to fix it up again, Ramirez said, and an effort that the space center has never taken on at once before. Previous paint jobs only covered parts of the rocket. 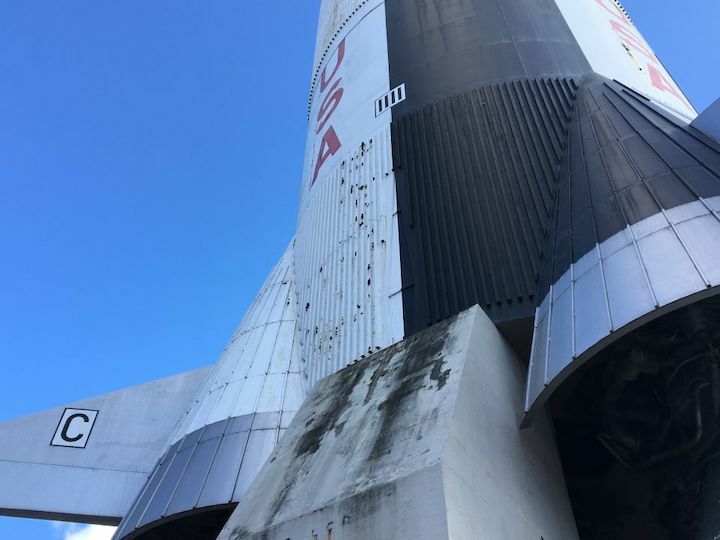 The space center, which is a non-profit organization, is taking donations for the rocket improvements as well as other ongoing restoration projects around its west Huntsville campus. For a $1,000 donation, you can do a little painting on the rocket yourself. 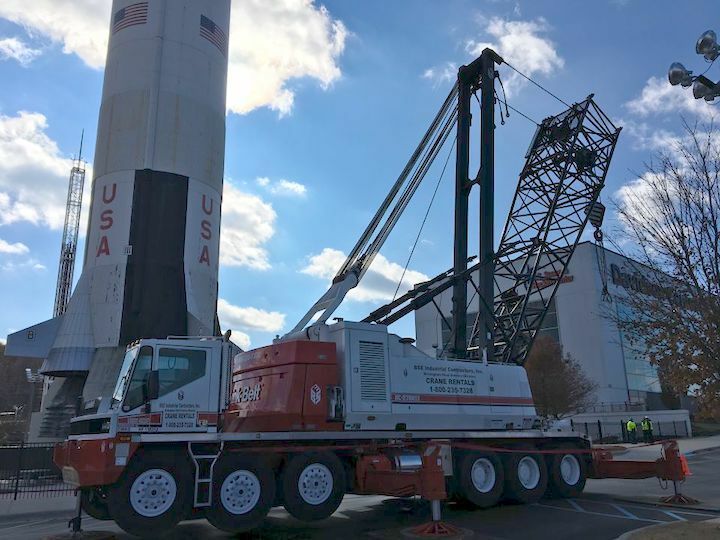 A 300-foot crane arrived at the space center Wednesday in eight pieces, a more cost-effective method of painting the rocket than the original plant of scaffolding, Ramirez said. PPG is providing the specialized paint for the rocket through its Colorful Communities project. But before the painting begins, the rocket will get a good washing and be re-sealed as well.